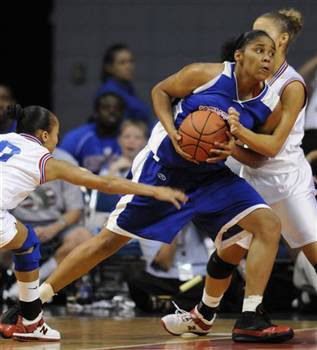 Over the weekend the Kentucky - Indiana All Stars took the floor for the second game of their two game series. I was unable to see any pictures from the first game but I did see some video. 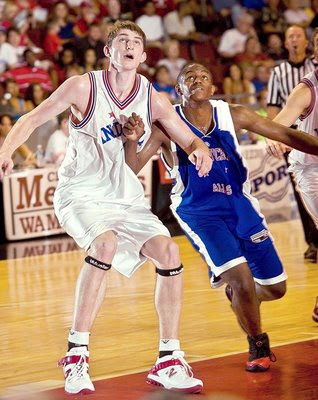 It was clear to me that the Indiana All Stars were wearing New Balance Zips from a few years ago. 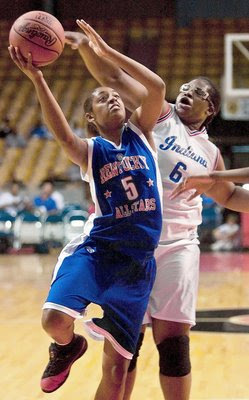 However, I couldn't tell for sure what the Kentucky All Stars were wearing. As it turns out they were wearing the Converse Wade 3.0, and not a normal colorway either. In fact they are from the What If Pack, which isn't even being sold here in America. The pack also includes the Converse 0100 and the Converse Revolution. If you click on any of these links you'll see that the Kentucky All Stars won both games last night for the first time since 1991. It's pretty cool that they got these exclusive kicks for the game and the red really pops out on them. Anyway, I thought I'd show some love for my state today. Thanks for checking out the blog and don't forget to vote the NBA draft is coming very soon. I always wondered why those never came out.. wade wore those the game after the all-star game vs houston... any word on the wade 4s? when are they dropping or are there any design samples out there? I've looked and found nothing..